If you are planning or have booked a cruise from Southampton, you may wish to book a hotel near to Southampton Cruise Terminal for a night or two before you travel. Here at Southampton Cruise Centre we have carefully selected 6 hotels close to Southampton Docks that our staff have personally stayed in. To book any of these hotels select the 'Check Availability' button next to your hotel of choice. For a map and directions to each hotel click the map icon next to the check availability button. Ennios Boutique Hotel features five exquisitely appointed luxury en suite bedrooms providing not just a taste of luxury, but a unique sleep experience. With each room boasting it's own character, combined with practicality and comfort, our boutique hotel rooms are Ideal for business stopovers, tourists and romantic getaways. Just 10 minutes from Southampton Airport, Ennios Boutique Hotel Rooms are located on the waterfront opposite the Red Funnel ferry terminal, and within minutes of Southampton city centre and cruise terminals. Free Wi-FI throughout. All rooms are Air Conditioned. You'll find real modern magic in your stay at the De Vere Grand Harbour. It starts with the towering glass atrium as you arrive at the hotel. It's in the award winning restaurants with their contemporary cuisine and it's also in the serenity of the candlelit spa.Wallow in the luxury of our gorgeous rooms. Spoil yourself in a spectacular suite and delight in the breathtaking views. Lie back in the most comfortable of beds and simply enjoy yourself. This is sleeping at Grand Harbour. 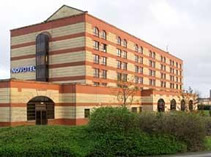 Stay at the waterside Holiday Inn Southampton hotel, close to the city centre and cruise terminals. 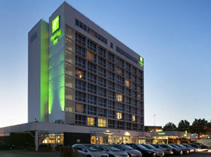 The imposing Holiday Inn Southampton stands at the edge of Mayflower Park with magnificent views over Southampton Water. Southampton city centre's shops and restaurants are 10 minutes' walk away and Southampton Airport is 6 miles. The bright Junction Restaurant offers a daily hot breakfast buffet and an international menu for dinner. Sip chilled drinks out on the veranda and take advantage of 24-hour Room Service. You can unwind in the saunas, MiniGym and heated pool in Holiday Inn Southampton's Spirit Leisure Club. Jurys Inn Southampton is located in the heart of the city overlooking East Park and close to Southampton Central Station. 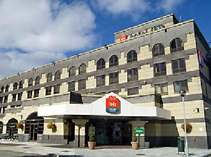 The 12-storey Jurys Inn is the largest hotel in Southampton and includes Innfusion Restaurant, Inntro Bar, and Il Barista coffee bar.We offer large spacious air conditioned rooms which can accommodate up to two adults and two children, three adults sharing or one person in complete comfort. 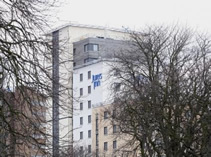 The Ibis Southampton Centre is in the centre of Southampton, close to West Quay Shopping Centre, the business district, the port and the theatres. The hotel has 93 rooms with wireless Internet access including 2 rooms for persons with limited mobility and 3 meeting rooms. A bar offering snacks 24 hours, a terrace and pay parking are available to guests. Golf and tennis facilities are close by. 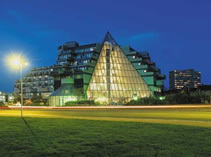 The Novotel Southampton hotel has been fully refurbished in 2009 and offers state-of the arts facilities and a stylish, contemporary design. 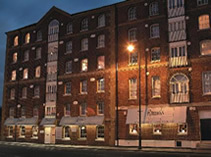 In the heart of the city, overlooking the port and just a few hundred metres from Southampton Central Railway Station and easy access to Southampton's ferries and cruise ships, this hotel offers Superior rooms and Executives rooms, ample car park (chargeable). The hotel also boasts an indoor swimming pool, gym, sauna, public areas, Elements restaurant and bar & outdoor terrace.